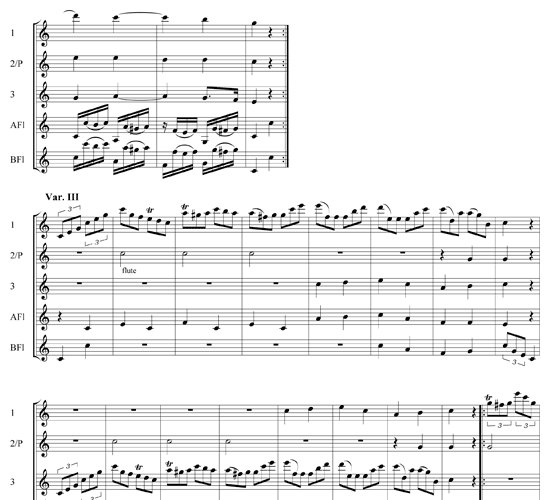 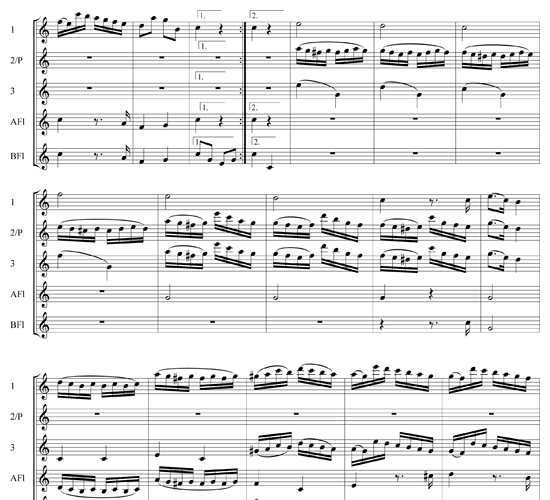 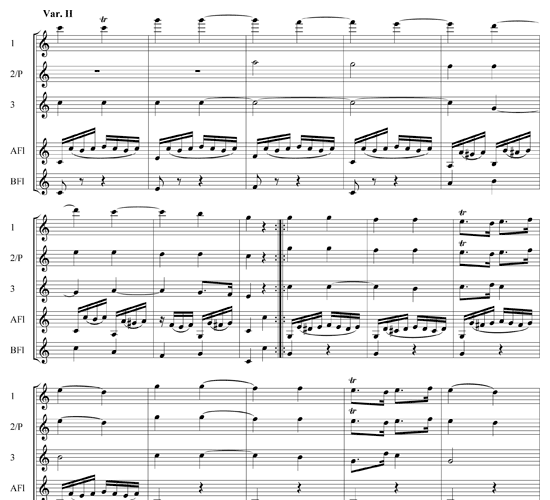 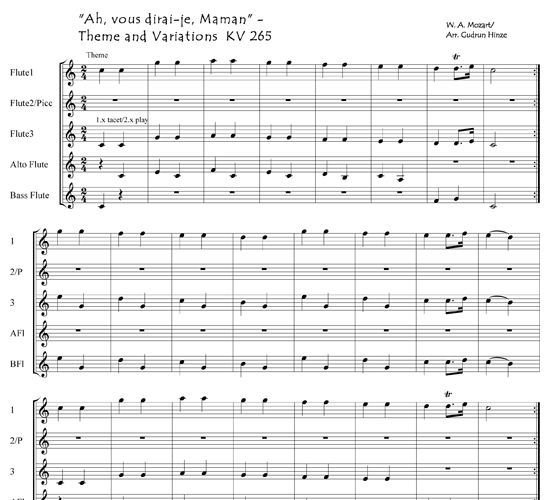 This melody is one of the best-known themes for composers in creating variations. 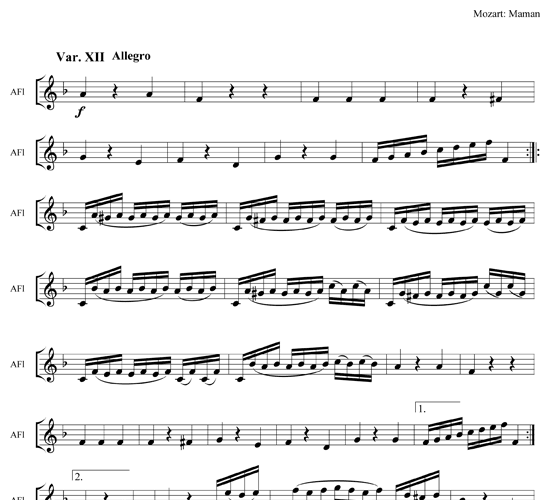 Mozart, in all probability, wrote his version for piano while in Paris in 1778. 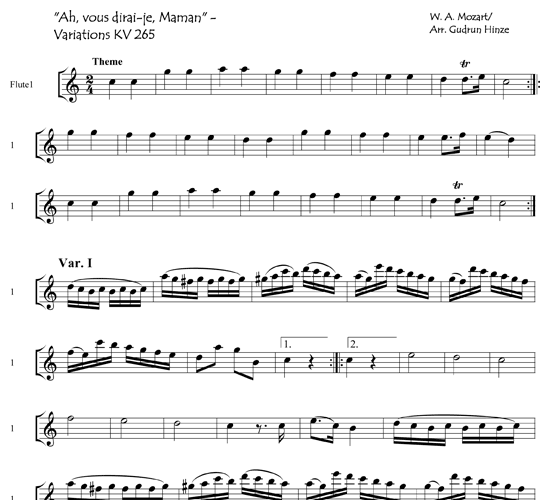 All members of this quintet will find opportunities to display their own virtuosity while highlighting intricate ensemble playing. 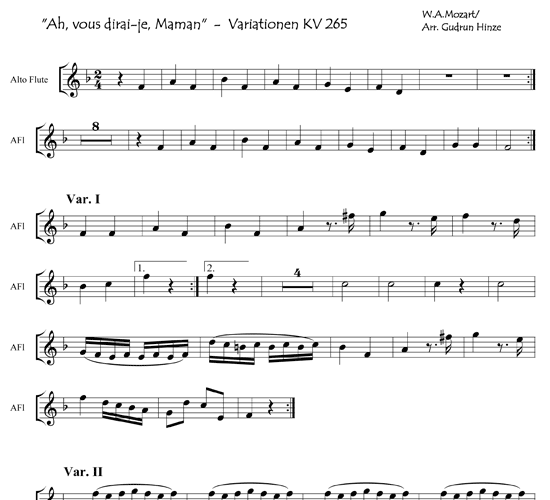 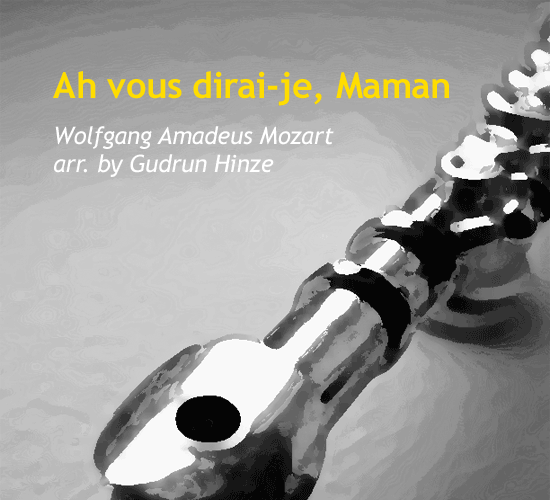 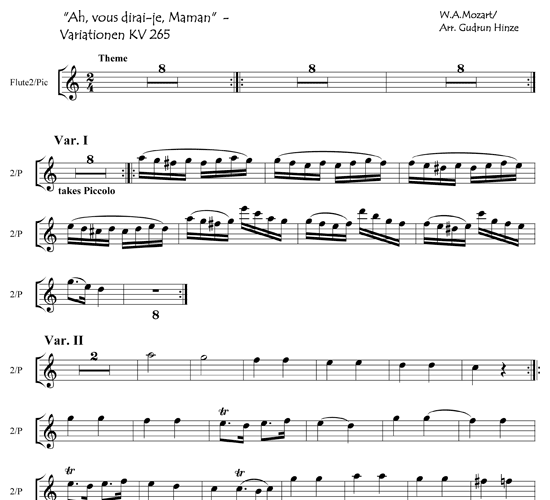 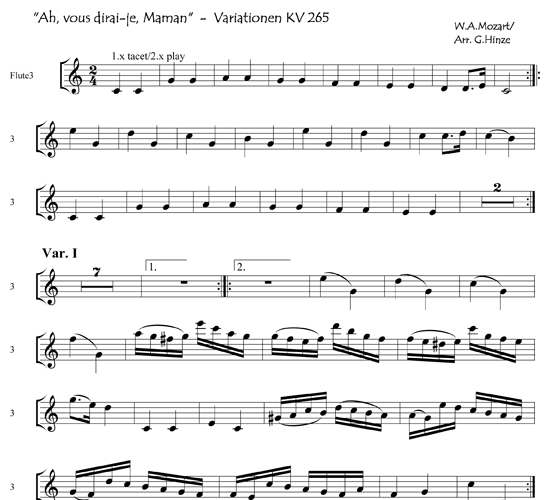 /wp-content/uploads/2012/10/mp3-ah-vous-dirai-je-maman-by-gudrun-hinze.mp3Performed by the Quintessenz ensemble.